Love all of these details! 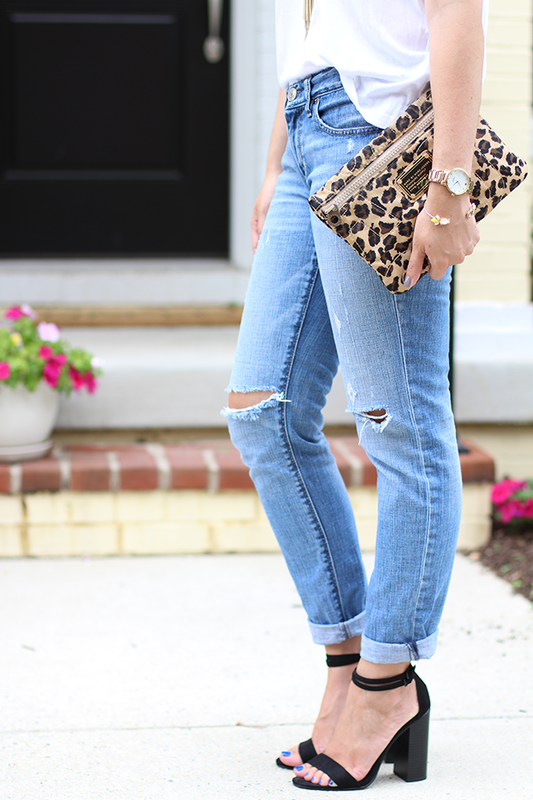 I've totally been living in my distressed boyfriend denim! Looks great on you! Love this look. It's simple yet sophisticated! loving this look, great styling! This look is great and it's so true that a nice pair of heels can transform any look. 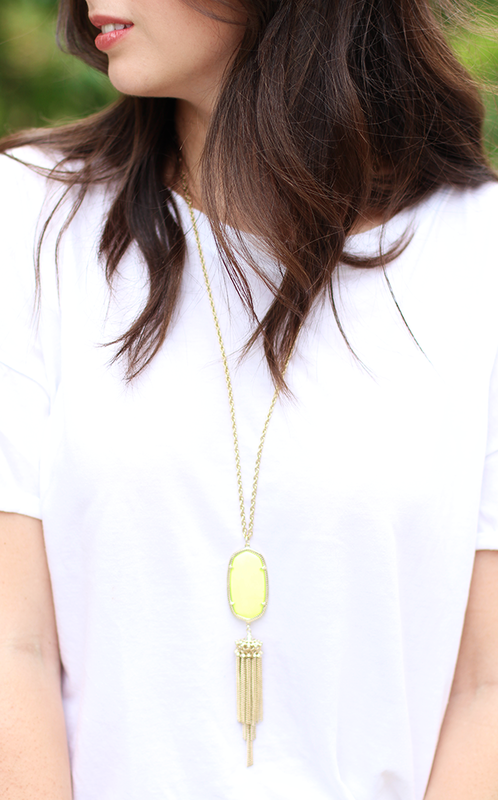 But I think that Kendra Scott necklace helps too! These pictures ... I LOVE THEM! Love the simplicity of this... and those gold accents!